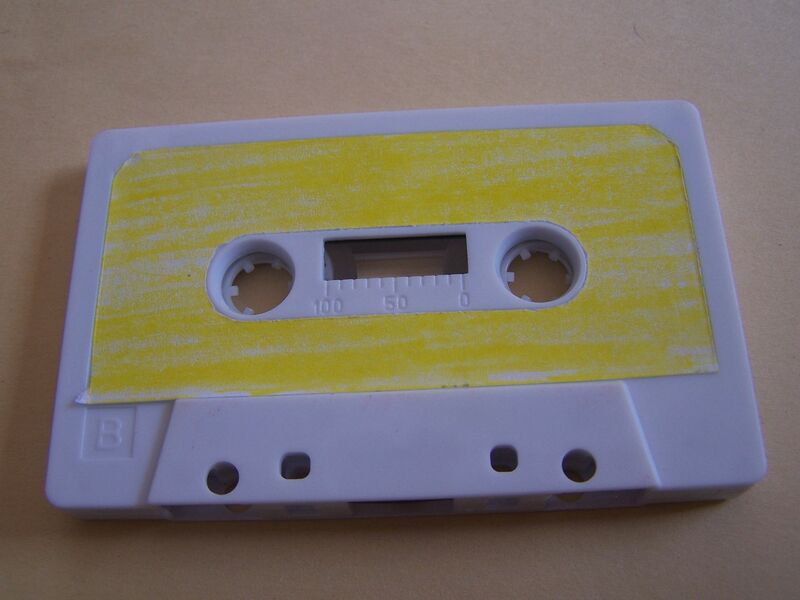 When I got this cassette I took pictures of it for the review before listening to it and so I might have done something to effect it though I try not to-- but basically, this was not rewound and one side is red while the other is yellow. I have no real indication as to which is supposed to be Side A and which is supposed to be Side B. I can't remember if the red side was facing out when I opened the case or not and if it was I might have done it during the pictures, but I give that a go as Side A. 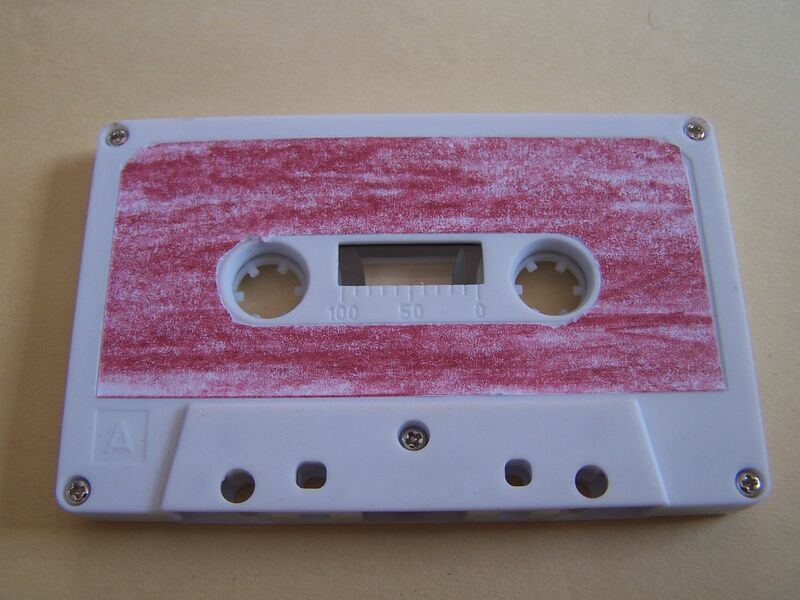 As it turns out, Side A is in fact the red side as there is a song about Don Knotts and, well, I just began following along with the songs on the Bandcamp page. 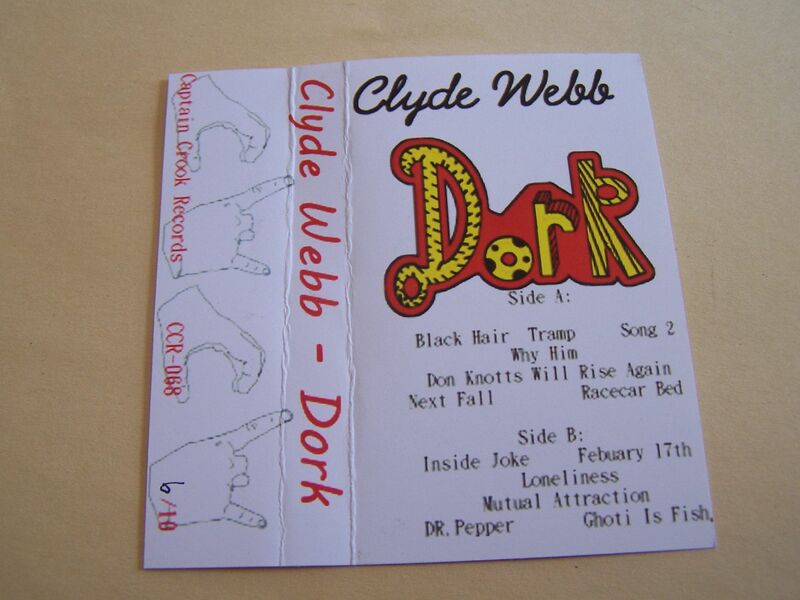 To describe the music of Clyde Webb is to describe music itself. He is a man with a guitar and a voice and while it may seem like these two things would draw easy comparisons they would yield completely different results if I were to create something like this. 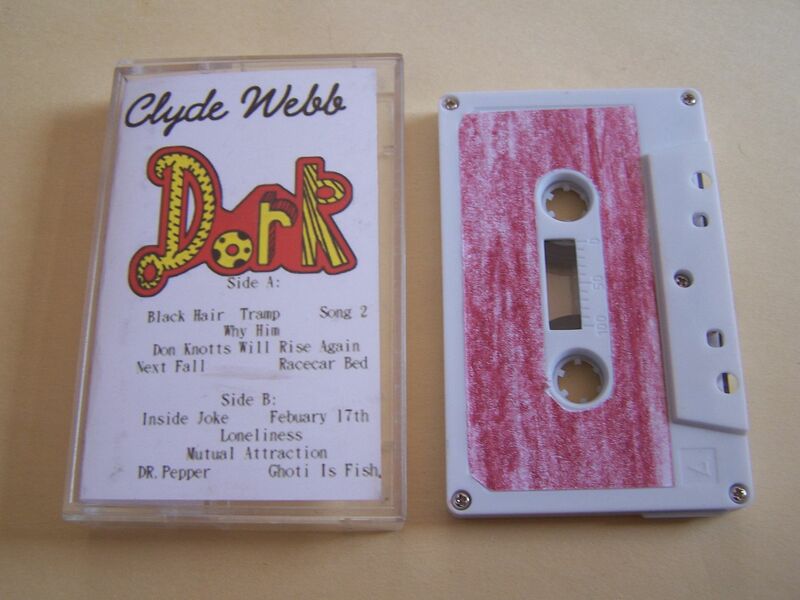 At its core, the songs of Clyde Webb are folk punk but that is a genre that I feel gets tossed around too much these days and so it isn't fair to just stick him in there as easy as it might be. The songs themselves tread anywhere from Hot Water Music to blink 182 and they also carry this overall feeling that comes with listening to Bad Religion. It's not the monotone quality exactly but something like the solmen one. Whether or not you like the music- and you should because it's just so raw and feels so stripped down that it's hard to deny it- the lyrics are there and they have quite a bit to say. On one song you can hear about how he was committed to a mental hospital after trying to kill himself, either an homage to Blue October's "H.R.S.A." or a page from my diary I'm not sure, and yet on another song he pledges his love to Dr. Pepper. Either way, listening to him sing about wanting a racecar bed brings up thoughts of "The SImpsons", which is always good, and then as he sings about racecar being the same forward and backward I think about it being called a pallendrome and then he goes on to say it is as well and that just makes me feel like we're on the same wave length. In some ways, I guess that's what I like most about this cassette: it's human. We experience far too much music today that is shoved down our pop throats by people who have no idea what we are actually going through or have been through. There is a universal appeal (so they say) to pop music only because they've had to dumb it down enough for everyone to be able to appreciate it. 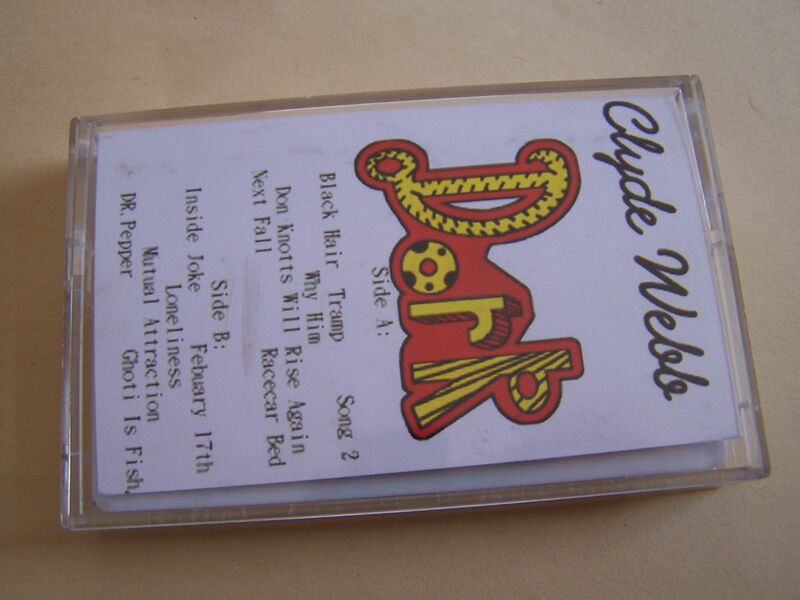 Clyde Webb might not have that pop appeal but if it's at the sacrifice of his music being dumbed down then I'm okay with that.